This year marks our 5th Christmas without Kyleigh. It’s hard to believe that we have celebrated five Christmas’ without her. Each year has brought both joy and sadness, but through it all, we continue to include Kyleigh in our celebrations and hold to the traditions that we started in 2012. On Christmas Day, we took some fresh flowers to the cemetery. It was unseasonably warm that day and with that comes strong winds. There was also a chance of rain, with possible thunderstorms, which made for the occasional dark cloud on what was a bright, sunny day. Sometimes the clouds against the sun make for some pretty significant shapes, especially at the cemetery. One thing about the cemetery that brings a smile to my face is the reaction that Kyleigh’s little sister has when we go. At two years old, she doesn’t understand what the cemetery is or why we are there. She goes with the wonder of a young child looking at pretty flowers and running around in wide open spaces. To her, it is a happy place, for she knows no different. As we were walking back to the car, she started dancing around in the wind. It was the perfect way to bring a smile to our faces. One of our Christmas traditions for Kyleigh is decorating a separate Christmas tree with ornaments that are specific to her. 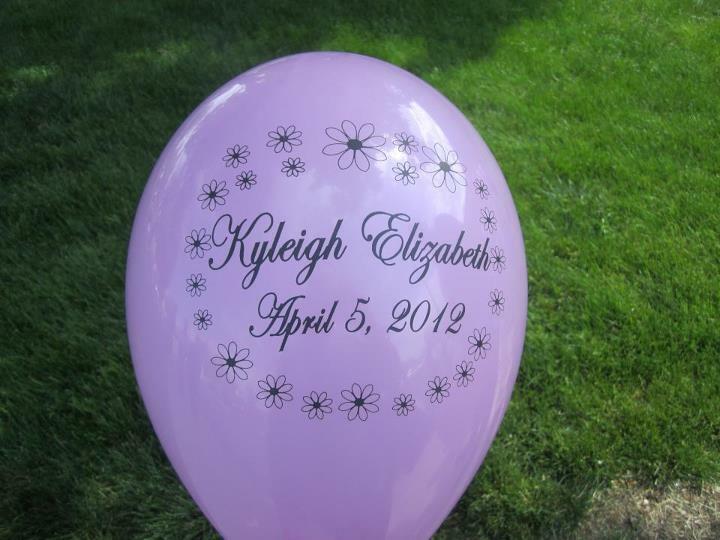 You might think that’s hard to do for a baby that passed away at birth, but we continue to be amazed year after year by how much the ornaments fit Kyleigh’s story. This year, we placed her tree just below her stocking and in between the fireplace and the beautiful cabinet that now holds several of our mementos of Kyleigh. The two ornaments added this year include one with butterfly and angel buttons, handmade by Kyleigh’s grammy and an angel ornament with the word ‘Love.’ After 5 years, her tree is really starting to fill up! Looking at all of the ornaments and how they fit into Kyleigh’s story brings a smile to our faces. We continue to fill Kyleigh’s stocking with socks for Blair’s Foster Socks. The socks are getting bigger and bigger each year, as we try to match the size of the socks to Kyleigh’s age. Blair’s Foster Socks continues to bless many children year after year. We hope that these socks will bring a smile to the face of many little girls in 2017! The last part of Kyleigh’s 5th Christmas brought a lot of smiles and a few tears. Kyleigh’s aunt gave us the gift of a beautiful painting of Kyleigh’s heartbeat by Moxie Muse Design. We had heard of these heartbeat paintings, but thought they could only be done if the artist had a recording of the heartbeat from a sonogram. Since we did not have this, we never pursued having a painting done. A few months ago, we learned that the artist can use a sonogram image to get the heartbeat. My sister gathered the necessary information and took it from there. We were surprised to receive the finished painting as a Christmas gift to our family. It is absolutely beautiful and one of the most special gifts we have ever received! As a side note, Moxie Muse Design offers custom sound wave and heartbeat paintings and donated a sound wave painting to the raffle at the 3rd Annual Kyleigh’s Gift Run/Walk. These paintings make wonderful gifts! The holidays are such a difficult time for so many people. While we continue to have our low moments, we can say after 5 years that the smiles outnumber the tears at Christmas. This is a good feeling to have. It’s not a big deal when we’re late for Christmas dinner because we stopped at the cemetery beforehand. We get notifications from family and friends that donations were made to the Kyleigh’s Gift Fund for Christmas. Loved ones add ornaments to her Christmas tree. Gifts are given that hold a piece of Kyleigh. A lot of these smiles come about from the traditions we have set in place and how those around us support those traditions.